There’s nothing like a fresh pair of eyes, or four pairs, to get a new perspective on the things you take for granted. 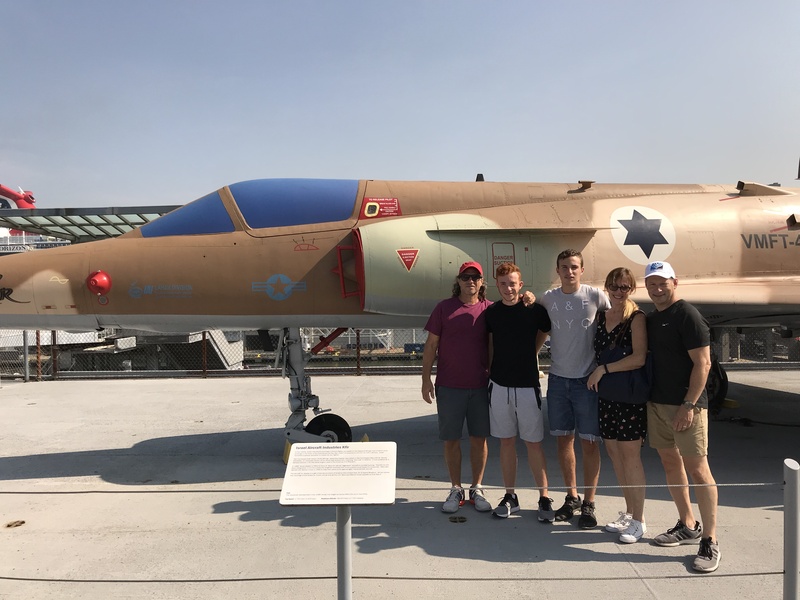 Last week, I had the pleasure of hosting one of my Israeli sisters, along with her husband and two sons, for a few days of New York-style fun. On Tuesday morning, we toured the USS Intrepid Museum. I’d been there just last year, but seeing the exhibits through the eyes of the Israelis, I was struck with a new sense of pride. We marveled at the stories of courage, ingenuity and sacrifices of the many Americans who have served our country in air, at sea, and in space. 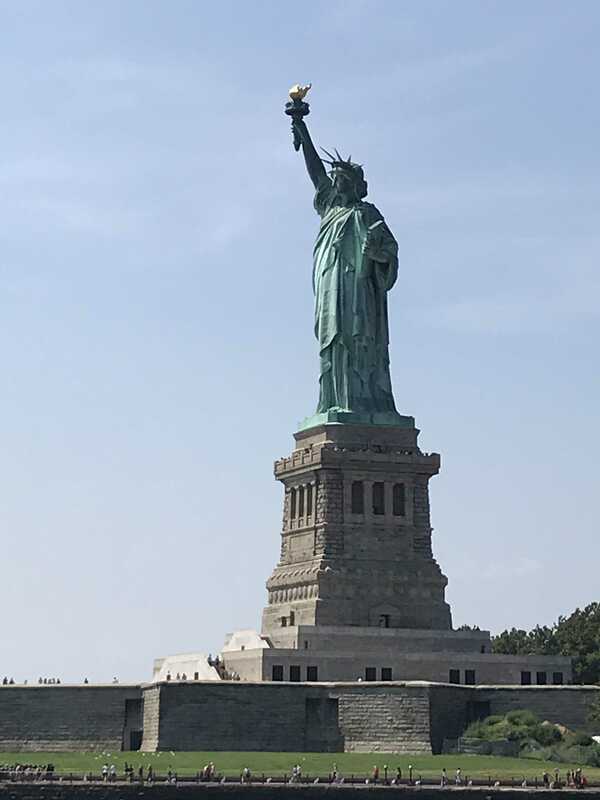 Next, we visited the Statue of Liberty, and I was reminded that Lady Liberty was not erected to represent a person; rather, she is there to represent an idea. From the pier we walked west on Fulton Street. 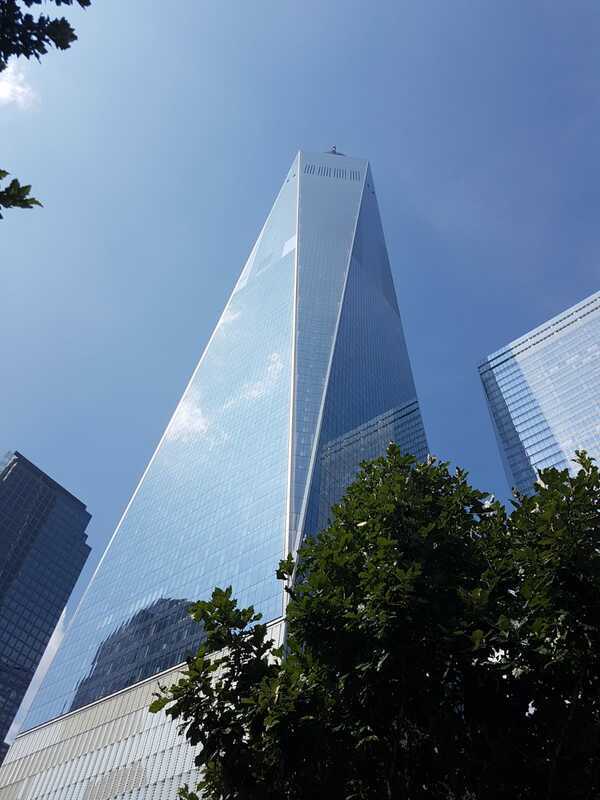 As we headed towards the Freedom Tower and the 9/11 memorial, I couldn’t shake the memories in my head, images of ash-covered people walking the streets like zombies on a Tuesday morning 17 years ago. The Twin Towers once stood like a gateway to our land, much like the two mountains between which the Israelites marched as they entered the Promised Land, with blessings pronounced to them from one and curses from the other. They too represented an idea; to me, they represented the indomitable spirit of America. 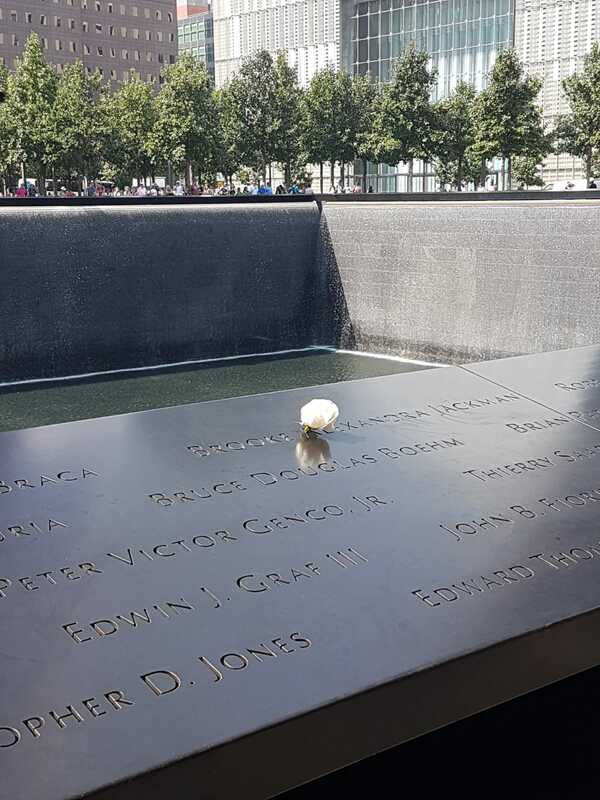 That same undying spirit is represented today in the energy of the descending memorial pools and in the tower that now skyrockets to the heavens to accompany the souls of all those lost on that tragic day. For the past 15 years, I have stood with fellow local clergy and Tappan’s first responders in remembrance on the mornings of 9/11. This year, I pray they will forgive my absence from the public ceremony, and I hope our non-Jewish neighbors will be reminded that the Jewish community means no disrespect by its absence, as it will be busy celebrating its holy day of Rosh Hashanah. That being said, I hope you will join us this second day of Rosh Hashanah during our service to give honor to the memory of those who died, to pay tribute to those who secure our safety and our freedom, and to express our gratitude for the blessings we share as Jews in America. Sometimes we take for granted the lives we have in this country, as Americans and as Jews. Sometimes, in the thick of the public debates and political rancor, we forget the good that is all around us. If you plan to be with our community on the second day of Rosh Hashanah, please consider arriving early, even if it means you’ll leave earlier than usual. We will be interrupting our regular service to make space for communal and individual remembrance with silence, song and shofar. Be on time (8:30am) to honor the day and to participate in our commemoration and prayer. May our Rosh Hashanah usher in a year that brings us healing, wholeness, peace, and an appreciation of all our blessings.